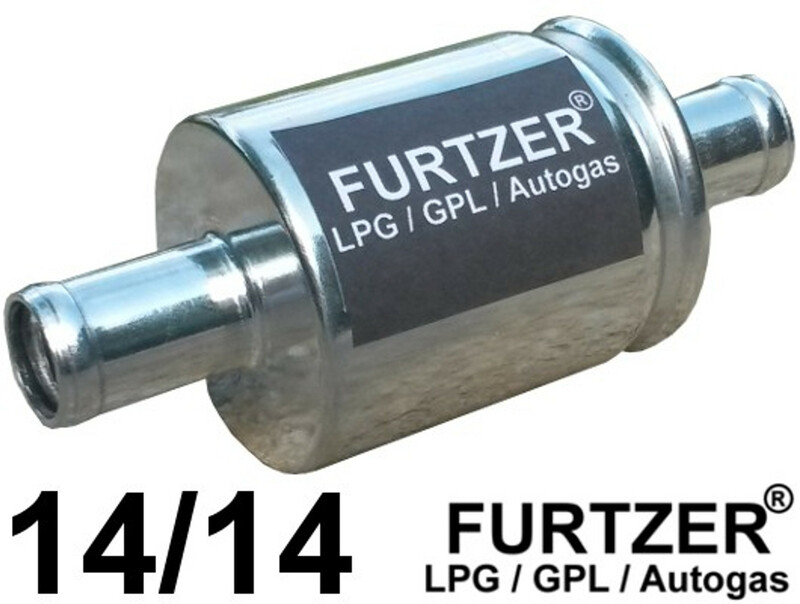 Our Furtzer® Universal Autogas filters for the gas phase can be used for many autogas systems without sensor on the filter housing (except PRINS). Increased interchanging interval of 25.000 km due to larger filtration volumes. Disposable filter in aluminum housing. By using high-quality materials, this gas filter offers excellent filter performance. Furtzer® is a registered trademark.